A deck of 53 cards (the standard deck of 52 plus a joker) is used and shuffled after each round of play. Deuces are wild, as is the Joker. The player makes a bet and then clicks "Deal" to begin play. Then the decision as to which cards to hold is made. After that comes the "Draw," as the hand plays itself out to a final conclusion. The payout table, which takes up the top of the main interface, clearly outlines the payout for each of the winning hand combinations. 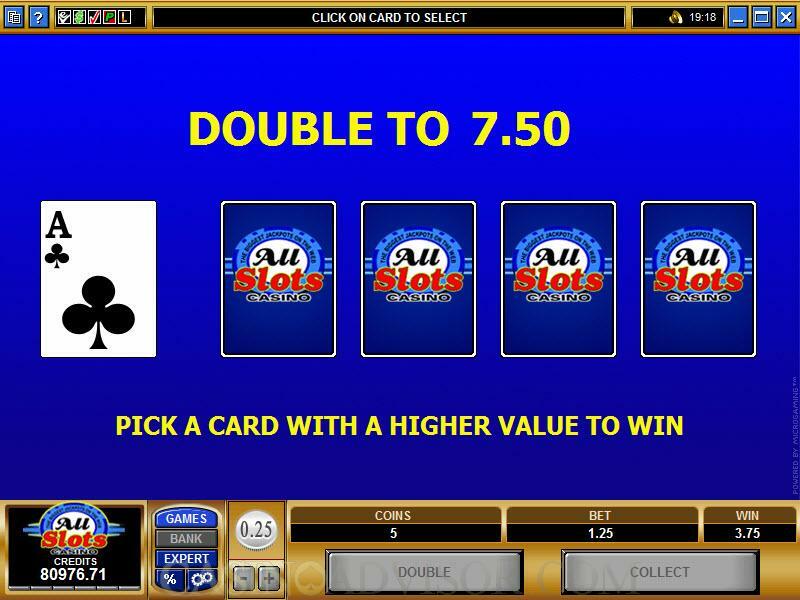 After achieving a winning hand, the player can choose to exercise the "Doubling" option, where five cards are dealt - one face-up (the dealer's card) and four that are face-down. The player clicks on one of the face-down cards. If it is higher than the dealer's face-up card, the amount of the win is doubled, at which point the player can either "Collect" or "Double" again. 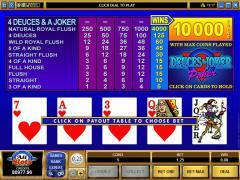 Deuces and Joker starts paying when you get Three of a Kind, as to any games where there are wild cards.. The payouts are rather small for a straight (ten coins), flush (15), full house (15), Four of a Kind (15) and straight flush (30). Each of these payouts are based on a five-coin bet. For winning hands achieved with less coins, the payouts are naturally proportionately smaller. The larger payouts are made on winning hands that use a wild card, with the exception of a Royal Flush. 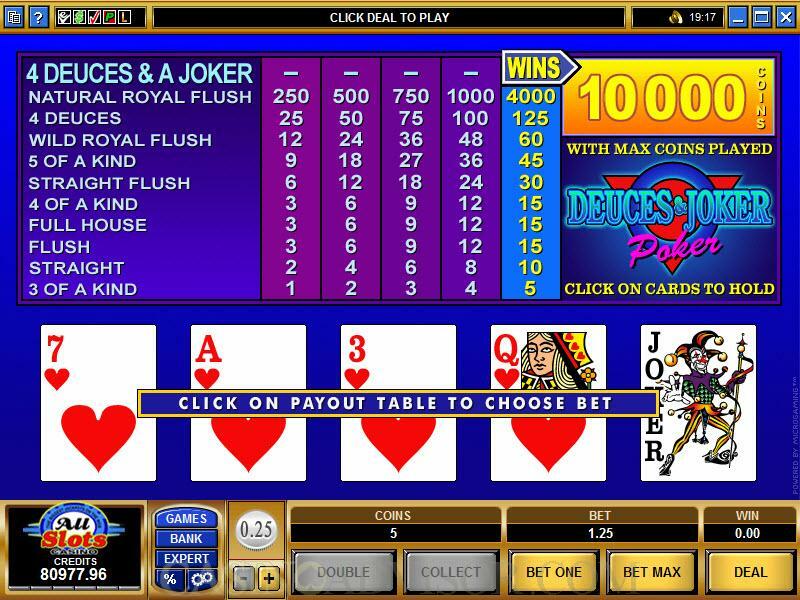 The Wild Royal Flush, which of course is a Royal Flush that is accomplished with the help of one or more wild cards, pays 60 coins on the maximum wager allocation. A hand with four deuces pays 125 coins. The Royal Flush that comes WITHOUT wild cards is a 4000-coin payout. And as mentioned before, the big hand is four deuces and a Joker, which brings 10,000 coins. It's all about deuces and jokers, folks.